Siliserh is situated 13 Km from Alwar on the Jaipur road in Rajasthan. This beautiful spot is set in Serene surroundings replete with nature’s bounty. Built as a summer retreat, it is an alluring landscape. The tranquil lake nestled in the hills, covering about 10.5 Kms. surrounding by thick forest and magnificent cenotaphs on its embankment. A royal Hunting Lodge/palace was built by Maharaja Vinay Singh for his queen Shila in 1845. It has been converted into a tourist bungalow and is an enchanting spot for peaceful holiday. It is a delightful spot also film makers and water sports enthusiasts (boating and sailing). 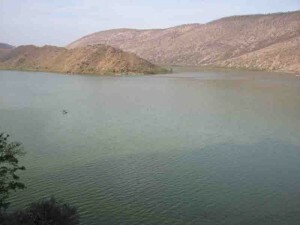 This entry was posted in Rajasthan, Siliserh and tagged Siliserh Lake. Bookmark the permalink.